Depressingly, Montreal’s vast, 56,000-capacity Olympic Stadium was almost empty for Tuesday’s Spain v Costa Rica and Brazil v South Korea double-header. Although the official Fifa attendance was 10,175, the Montreal Gazette claimed 1,000 were present. If the 53,058 crowd for the opening Canada v China match at Edmonton’s 60,081-capacity Commonwealth Stadium proved encouraging, Vancouver’s 54,000 BC Place has been merely half-filled. Interest is greater in Winnipeg where 31,184 almost filled the city’s ground forSweden v Nigeria and USA v Australia. Audiences have proved similarly enthusiastic in Ottawa, while a disappointingly sparse gathering for England v France at the 13,000-capacity Moncton Stadiumin the bilingual New Brunswick province was blamed partly on an embarrassing malfunction in the city’s park and ride system. The litmus test will come when an arguably overblown tournament – did it really need to be expanded to 24 teams and 30 days? – reaches the knockout phase. 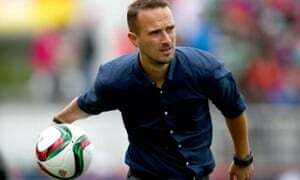 Hope Powell, Mark Sampson’s predecessor as England coach, is, on one level, right to be concerned that eight of the 24 team managers are female, although this dearth is perhaps a reflection of the low numbers of women taking their coaching badges – zero out of 44 on the FA’s latest A-licence intake. Until that very necessary bridge is crossed – and if there is still racism in English football, there is most certainly sexism – deploying high-calibre male coaches in the female game can help raise the overall bar. It was instructive to hear Lucy Bronze, the England and Manchester City defender, talking about how much she had learnt from working with Rodolfo Borrell, a former Barcelona coach who once tutored Lionel Messi, at the Etihad. Certainly, it is no coincidence that some of the leading nations here are led by coaches with substantial pedigrees in the male game. France’s Philippe Bergeroo was an assistant national coach as Les Bleues won the 1998 World Cup and Brazil’s Vadão has trained Rivaldo and Kaká. This is intended as no criticism of England’s 32-year-old Sampson, who began his career working in Swansea’s academy, but did the FA even think about trying to persuade Peter Taylor, Stuart Pearce or David Platt (to take three former England Under-21 managers) to contemplate a stint with the Lionesses? The official line that grass surfaces were too expensive to install in a country subjected to arctic winters does not really wash. To date, non-impact injuries have been rare. Even so, it is hardly a coincidence players are pulling their socks over their knees to afford added protection. If Bronze was far from delighted by a burn mark on her thigh incurred during a sliding tackle, no player enjoys being covered in the black rubber crumb apparently moulting from underfoot. Then there are the temperatures. Artifical turf is generally around 20-30F hotter than natural grass. So in Edmonton – where the outside temperature has averaged 75F – teams have played on pitches warmed to a toasty 120F. When it comes to the quality of the playing experience the Norway midfielder Lene Mykjaland is not impressed. “It’s hard to establish a decent tempo or rhythm,” she said. The 20-year-old Liverpool forward is all invention and incisive improvisation. Wonderful to watch, Oshoala not only scored a goal in Nigeria’s 3-3 thriller with Sweden but terrorised Pia Sundhage’s defence. Small wonder Matt Beard, her manager at Liverpool, claims she is on course to become one of the “world’s best” footballers. It is hoped Nigeria can survive their group of death. Marta, meanwhile, is used to being regarded as the best female attacker and already the Brazil has broken a World Cup record to become the leading goalscorer in the competitions’s history. France’s Wendie Renard shone at centre‑half during the 1-0 win against England while Claire Rafferty proved fabulous at left-back for Sampson’s side. If this emphasis on denial and containment underwhelms spectators, Sampson is not apologising. “If England won the World Cup, it would be the biggest boost the women’s game could ever get,” he said. They were queueing in the rain outside Moncton Stadium on Tuesday while bags and backpacks were inspected. The overriding suspicion is that it was less about security than confiscating non-Fifa branded food and beverages. They like their food in New Brunswick and many fans attending the England v France, Colombia v Mexico double-header came equipped with picnics. It was sad to see hampers abandoned outside the stadium as a condition of entry. The Times & Transcript, Moncton’s local paper, said: “On the bright side it may mean fewer trips to the porta-potties.” It warned readers that water bottles were not allowed into the stadium so anyone thirsty must buy the Fifa-approved brand on sale inside the turnstiles. The referee may have failed to spot Camille Abily jabbing an elbow into the face of England’s Laura Bassett on Tuesday, leaving the centre-half with a real shiner, but Fifa should have used retrospective video evidence to suspend the Frenchwoman. If match officials confirm they missed such incidents the Premier League imposes retrospective punishments at the drop of a hat. So why not here? We are talking Australia’s 3-1 defeat to the USA. Admittedly Australia played quite well but the result hardly warranted an item on the Football Federation of Australia website headlined: “The USA, well, they just aren’t that good”. Criticising the Americans’ “rudimentary, bog standard, 4-4-2 style of play” was rightly dismissed as “the sourest Shiraz” by North American journalists.